In this post, I have written about a Bina Mantra Ka Vashikaran Totka or a Vashikaran Remedy to attract everyone without using a Vashikaran Mantra. This simple but effective Vashikaran Totka makes the use of an energized Supari as attraction charm by using an easy to practice procedure. The Supari is energized by a special method, which makes the use of Ganga Jal and the Blood of your little finger to infuse power to attract Sarvajan or all men and women into the Supari. The easy to practice procedure for making and using this Sarvajan Vashikaran Supari Totka has been described below. 1] Bring Home some Gangajal during the period of Pushya Nakshatra and keep it in a clean place. 2] On the day of an Amavasya, immerse a Supari or Betel Nut in the Ganga Jal and keep the Ganga Jal in a Thali. The Supari should not be damaged or chipped in any manner. 3] Keep the Thali in a clean place for seven days. 4] On the morning of the eighth day, remove the Supari from the Thali and keep it before you and light a Ghee ka Diya and Dhoop before the Agarbatti. 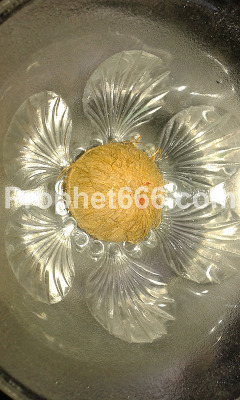 5] Then, add a couple of drops of the blood of your little finger or Kanishta Ungli in the Hindi language on the Supari and rub that blood over the Supari and say a small prayer to the Supari to ask it to help you to attract and enchant everyone and make them co-operative and favorable towards you and help you in everything. 6] Then, worship the Supari for three days by lighting a Ghee Ka Diya and Dhoop before the Supari. 7] This will make the Supari Siddh and it can be kept in the pocket. This energized Supari will act like an attraction charm and enchant everyone with whom you interact with the Supari in your pocket. If you are a lady, then you can keep this Supari in your purse. For more Vashikaran Options, please see the sections on- Attraction Mantras, Vashikaran Yantras and Vashikaran Upay and Totke. Can supari be put inside a small cloth bag, so that it doesn't get dirty .Will it still be effective. Yes, that can be done.